CTribst is a technical translation company that serves clients in several market segments, with main focus on the areas of technology/IT and telecommunications, legal, business, finances and controlling, marketing, consulting, oil & gas, mining, environment and energy. The professionals who are part of our team have profound knowledge and fluency in the languages they work with (native speakers), and extensive experience in several market segments. Additionally, we have formed strategic alliances which allow us to develop complete and fast translation solutions for our clients. 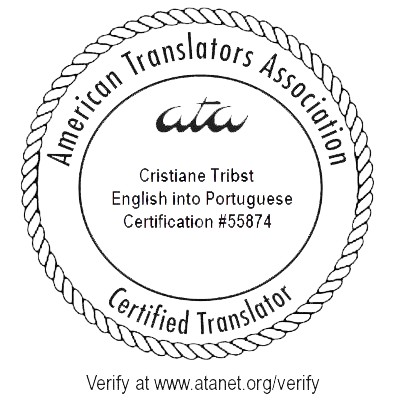 CTribst was founded in 2006 to meet a natural need of the globalized world by Cristiane Tribst, professional with extensive experience in technical translations, with a degree in translation and interpretation from Associação Alumni, one of the four Latin American schools mentioned in the Directory of the “Association Internationale des Interprétes de Conférence”, in Geneva, Switzerland. Cristiane Tribst is a public translator with almost 20 years of experience and main focus on the areas of legal translations, engineering, business, oil and gas, mining, finances and technology, including computing, network, hardware, software and other related areas. 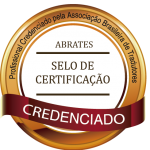 The CTribst works with a select team of professionals in Brazil and abroad, and is recognized as a company specializing in a variety of technical areas, which offers services mainly in Portuguese, English and Spanish.